Is there a way to do a similar thing with QEMU? I think it will work with QEMU too but I will test to be sure. It would be great to add this into my RMPrepUSB - QEMU option?? I tested with QEMU and it works. 1. you can adapt the sources from Delphi to the programming language you use (probably Visual Basic). 2. You can use the exe attached to this post. That .exe just drops perfectly into my rmprepusb startfromusb.cmd batch file and seems to work just great! Just one problem - how do I stop the console window from appearing on the desktop? I tried start /MIN and start /B but neither seem to work?? Solved it, I just had to use SW_MINIMIZE instead of SW_SHOW. Great! I will make a Beta release of RMPrepUSB using this if that is OK with you - I have been trying to get USB writes to work for ages but never found an easy solution! This means the grub4dos default command and dd writes, etc. will all work under QEMU and be permanent - brilliant! Now the modification from shortcut properties and also "start min/max" are both detected and transmitted to VirtualBox/QEMU window. In QEMU it's the console window that will receive this and not the VM window. I also made a version with GUI. LE: links to the files removed, better versions in my next post. for primitives users too and it's finish for the Mass Marked And the VBox-Peoples say ever, we don't need them..
With this possible can install Moondrake and Openmandriva too ! Edited by Blackcrack, 07 June 2013 - 05:31 AM. 2. You can choose directly the USB drive number with a popup menu. 3. When adding a VM entry from VirtualBox you can choose which VM should be added and its (UU)ID will be inserted automatically. Actually, the 'A'..'Z' letters that we see in a file manager in Windows are not really "drives" but "volumes". A drive can have more than one volume. For example my internal HDD has C and D.
The virtual machines use physical drives (0, 1, 2, ...) not those letters, that's why is necessary to show them like that in the popup menu. But, since each corresponding volume(s) are shown, it's easy to choose. 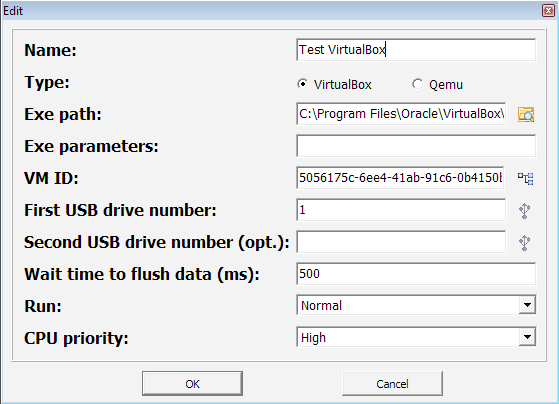 In this thread at some point it says that you have to create a special HDD file called usb.vmdk and to add it to the VirtualBox machine. This way you could access and even boot the USB drive in the virtual machine. This program dismounts (a sort of "half eject") the USB drive before the VM startup and remounts it after it closes. This way it prevents data corruption and the changes made inside the VM (adding/erasing files/folders) are visible after. 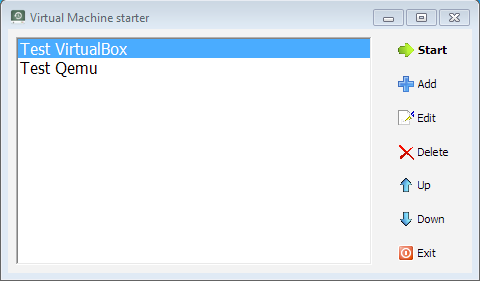 If I run Start_VM.exe for Oracle VBox from a fresh boot (win 7 -64-bit) then it fails to run VBox. 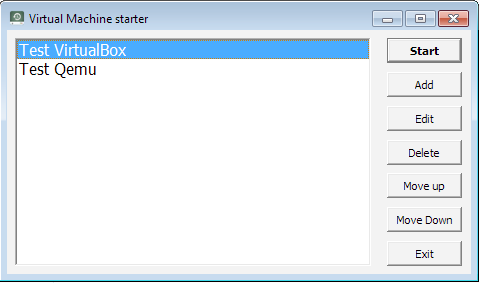 If I run VM Virtual Box Manager and then run Start_VM.exe it works. If I then close VBox Manager and run Start_VM.exe it still works. Is there a way to make Start_VM.exe work from a fresh boot so I don't have to run VBox Manager or am I doing something wrong? Actually, the 'A'..'Z' letters that we see in a file manager in Windows are not really "drives" but "volumes". A drive can have more than one volume. For example my internal HDD has C and D.
Oh noes, still the same issue. A hard disk drive can have more than one volume. A hard disk like device or image can have more than one volume. A HDD is a Hard Disk Drive. A hard disk drive contains volumes that can be primary partitions (and get a drive letter if not hidden) or logical volumes inside extended (and they also get a drive letter if not hidden). First primary partition (volume or drive or however the thing that gets a drive letter) on first hard disk is in grub4dos (hd0,0). First volume (or drive or however the thing that gets a drive letter)inside extended partition is in grub4dos (hd0,4). IMDISK does NOT deal with disks (but with volumes or drives or \\.\LogicalDrives). A .vhd is an image of a disk (whole thing). You cannot use "drive" by itself as it may be understood both as volume or \\.\LogicalDrive (more common) or as hard disk drive or \\.\PhysicalDrive. You have to leave it to the good MS guys to mix the terms (and shake them well) . Failed to open a session for the virtual machine USB Boot. The object functionality is limited. I have made some small improvements on all the versions. I installed Windows 7 x86 in VirtualBox (since I have Windows XP x86 installed in the real computer I can't install 7 x64). Inside it I installed VirtualBox (!) and tried the VM starter (both versions). 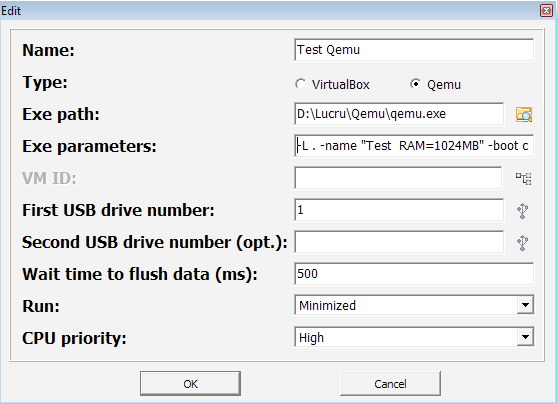 I just had a "crazy" idea: since with VBoxManage.exe you can do pretty much everything (create/modify/start/delete VM) and with Qemu you can configure it 100% with command line parameters, maybe I could design an interface where the user can create or modify a VM and set its devices/parameters (including creating and adding usb.vmdk). 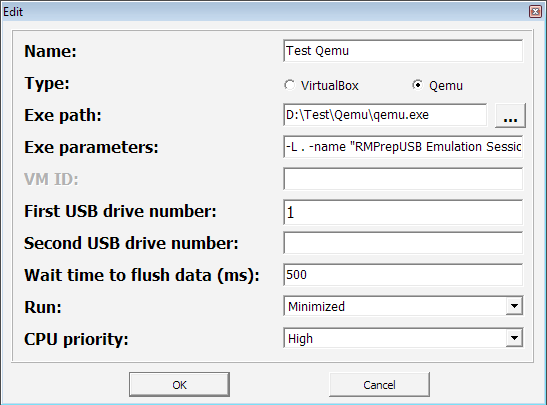 maybe as point of contact for QEmu & VBox Hobby Programmer and around if it.
" Happy Emulations Hobby Programmer Portal"
and other VM's "The Virtual Mashin's Portal" or easy "The VM Portal"
2. Since VirtualBox is using both '\' and '/' in storing path of VMs (in "VirtualBox.xml"), I had to implement both of them in my code. And, yes, I know that both are normal to be used but it's a little odd because in both cases the VMs are on a Windows system. 3. 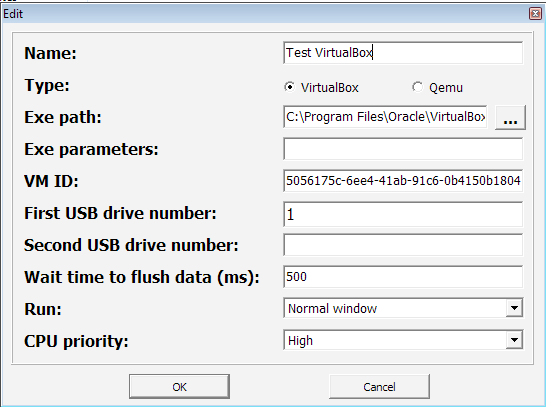 Before starting the VM is checking the USB drive(s). If it/they doesn't/don't seem accessible it warns the user. 4. When it saves the VMs list on HDD it creates a backup of the previous list first. 5. Some other small bugfixes. but i think it's the bug who you was speak about..
Edited by Blackcrack, 11 June 2013 - 06:44 PM.